Build stronger connections and partnerships with local schools, through our Scholarships and mock job interview programs. Build connections with local community and indigenous groups, through our involvement with organisations such as Ironbark Gully Friends Association. Support Rotary International through the End Polio Now campaign, through fundraisers such as our recent film night. Supprt the End Trachoma by 2020 project. Regular hosting of international exchange students. Involvement with Science and Engineering programs aimed at secondary school students. Hosting of bi-annual concerts at Ulumbarra theatre to raise funds for theatre equipment and musical bursaries. Regualr fundraising for Lifeline and mental health causes. Support for Seven Women – Nepal. Regular donations of equipment and funds to Donations in Kind warehouse in Melbourne, where donated items can be shipped anywhere in the world where the need may be greatest. 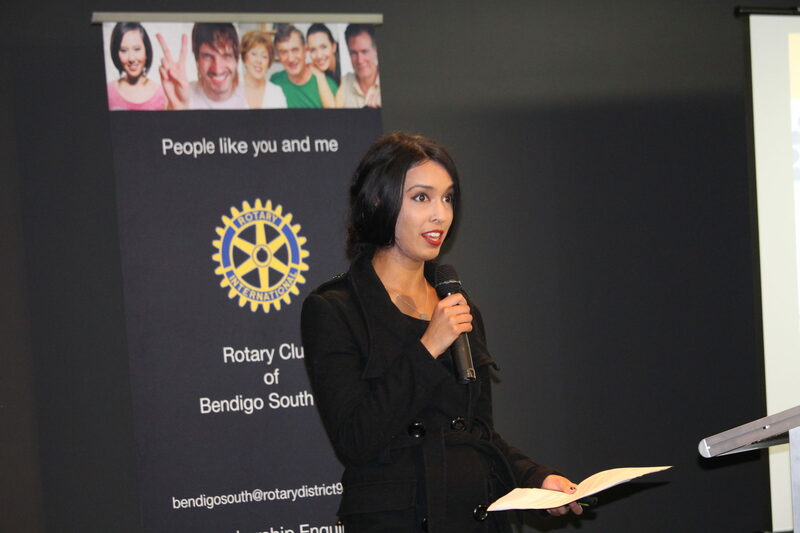 The Rotary Club of Bendigo South has an active membership of Rotarians and Friends, with the above list outlining only some of the many and varied ways we work within the community. 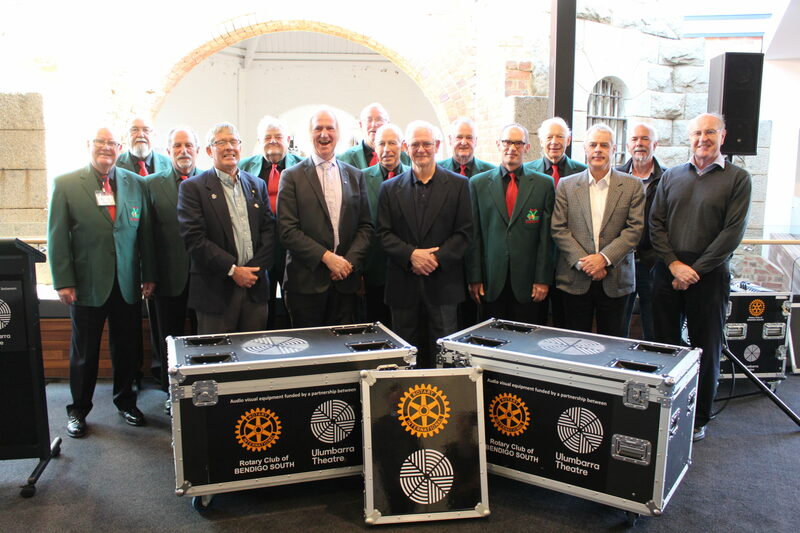 The Rotary Club of Bendigo South donating audio visual equipment to Ulumbarra theatre, accompanied by the Victorian Welsh Choir, who have performed at two of our past fundraiser concerts. Allyson Fonseca (formerly of Win News) speaking about mental health at our recent Lifeline fundraiser dinner. Find out more about our Club Projects at the links below.